Welcome to Driver 61: The UK’s favourite motorsport resource for track drivers and race teams. Our store sells quality parts, equipment, spares and racewear for Motorsport, and our resources include popular circuit guides, a driver’s university and a popular blog aimed at novice drivers. Popular whiteboard lessons to educate track drivers. 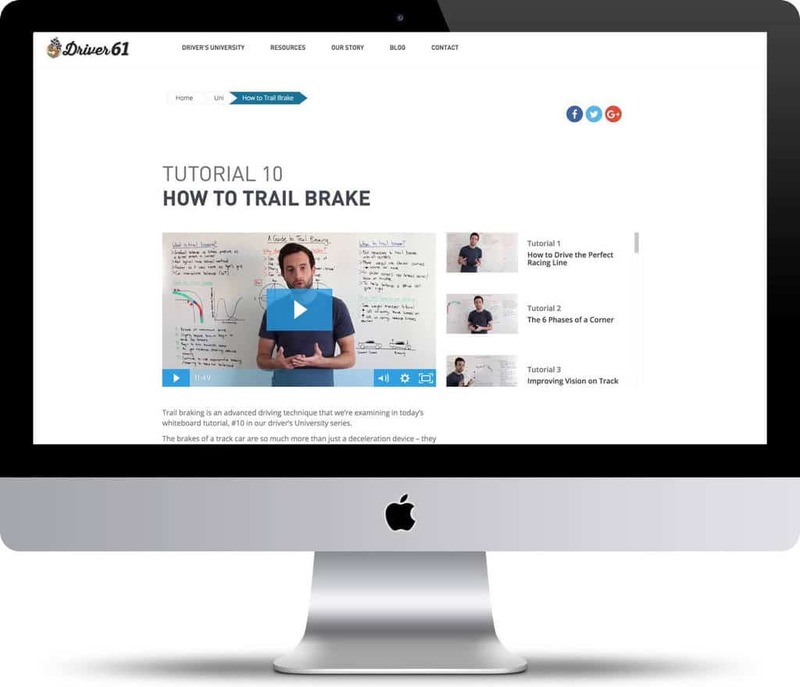 A course of tutorials from improving vision to how to trail brake. In-depth onboard circuit guides examining racing lines, braking zones and everything needed to be fast at a range of circuits. Our store sells quality parts, equipment, spares and racewear for Motorsport. Read more to find out how we can help you. We’ve been working hard over the last few months. Finally we can announce Driver 61’s New Store: Quality Parts, Equipment, Spares and Racewear For Motorsport! Driver 61 attracts over 31,000 monthly views and is growing at over a staggering 20% per month – put your product in front of this massive audience. Our focus is to bring more customers to your products. We will take care of marketing & promotion with our specialist search engine optimisation team. We’ll add your products free of charge and take a below market-norm sales based commission – meaning more revenue for you. We’ve designed our seller process to be as effortless as possible for you. Our eCommerce site will sell your product on a commission basis, sending you the customer order and full transaction fee, including delivery, ready to fulfil. We invoice you monthly for our sales commission. If you’re technically savvy, we can work with your team to keep inventory levels in check via XML product feed from your inventory system or website. If that can’t be done, we’d be happy to take a regular CSV export or find alternative automated means. If none of those options work, we can extract the data on a periodic basis directly from your website using our scraping technology. Each step is designed to require minimum effort for you. I’m Interested in Hearing More: What Do I do? If you’re interested in selling your motorsport products on Driver61.com, fill out the form below and we’ll be in touch immediately.